The American Association of Amateur Astronomers is an organization for you and by you. When you are not close to an astronomy club, you can find the astronomy information you need here. We welcome everyone interested in astronomy, no matter what their level of expertise - from novice to nationally recognized expert. 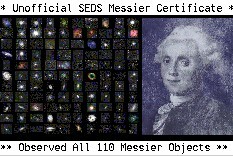 We are an organization for all amateurs, with interests ranging from observing and astrophotography to CCD imaging, armchair astronomy, and the Internet. The American Association of Amateur Astronomers has evolved into an online resource for amateur astronomers worldwide. Our resources and information are free to everyone online for the browsing. If you wish to join an astronomy club and receive the benefits of being a member of the Astronomical League, but do not have an astronomy club near where you live, please consider joining the Astronomical League as a Member-at-Large. If you want an organization where you can feel like you belong, then come and share your love of astronomy with us. astronomy information on the Internet.